As free agency approaches, there are five potential salary cap casualties for the New York Giants in 2017. Which Giants are in danger of getting cut? According to Spotrac, the New York Giants are around $35 million under the salary cap for 2017. That figure positions them towards the bottom half of the NFL. Not great, but at least that number doesn’t have a minus sign in front of it like the Philadelphia Eagles and Dallas Cowboys. As of right now, the G-Men have 52 players signed, with slightly more money allocated to the defense than the offense. Considering each unit’s performance in 2016, the slim difference highlights the need for change on offense. That change started Monday when the team released Victor Cruz and Rashad Jennings. While there aren’t any huge red flags for the salary cap—especially after the recent cuts—there are still some action items with an exclamation point next to them. Of greatest importance are Justin Pugh and Weston Richburg, the two best offensive linemen on the roster. Both are unrestricted free agents in 2018 and will be looking for a substantial raise. Locking up both those behemoths will be critical to Big Blue’s push for a fifth Lombardi trophy. Two more essential starters will undoubtedly be cashing in down the road. In 2019, both Odell Beckham and Landon Collins will become unrestricted free agents. If the front office has any foresight or long-term vision, they’ll clear the way for these outstanding performers to pad their bank accounts. To free up the space necessary to keep those talents, the Giants have the unenviable task of restructuring contracts or parting ways. Here are five Giants who could be wearing a different uniform in 2017. Other outlets have ruminated that Dominique Rodgers-Cromartie is on the way out and I couldn’t disagree harder. What a mistake it would be to let this talent leave without getting some kind of compensation in return. Rodgers-Cromartie isn’t a free agent until 2019. The Giants would take on $4 million in dead cap in 2017 if they release or trade him before June 1. Big Blue would take on $2 million in 2017 dead cap and another $2 million in 2018 if they release or trade after June 1. So, if the G-Men believe DRC isn’t part of their plans this season, that move probably won’t come until June. Sure, Rodgers-Cromartie has the sixth highest cap hit in 2017 and the fifth highest in 2018 as a role player, but is there a more important role player on this team? Probably not. Look what happened when he left the Wild Card game against the Green Bay Packers. Aaron Rodgers and Company exploited Eli Apple and Trevin Wade. Entering the 2016 season, Pro Football Focus ranked the Giants secondary 19th. Before Week 12 of the 2016 season, DRC was named the 10th best cornerback in the NFL by Pro Football Focus and 30th best player of 2016. After the season, he received the top coverage grade for the Giants, helping them to become the second best secondary in the NFL. DRC was also voted second-team All-Pro by Pro Football Focus with a rating that was tied for second among cornerbacks. It would be bananas for the team to cut this guy. Trading for a top tight end, linebacker, or offensive lineman? That’s another story. Next: No. 4: Little To No Returns? 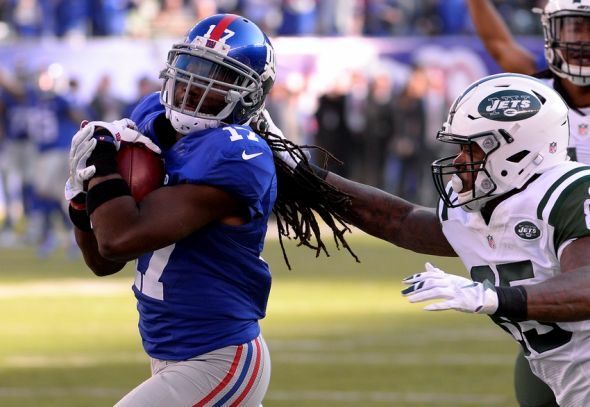 There’s a minuscule chance this happens, but would any Giants fan be shocked if the team decided to release Dwayne Harris? True, Harris was selected to first-ever Pro Bowl in 2016, but that must’ve been a make-good from his historic 2015 season. Harris enjoyed a career year in 2015, putting up 1,380 all-purpose yards and scoring six touchdowns (two from returns). He was the NFC Special Teams Player of the Week for his game against the Dallas Cowboys in Week 7 that year. Harris was sixth in yards per punt return and third in yards per kick return. 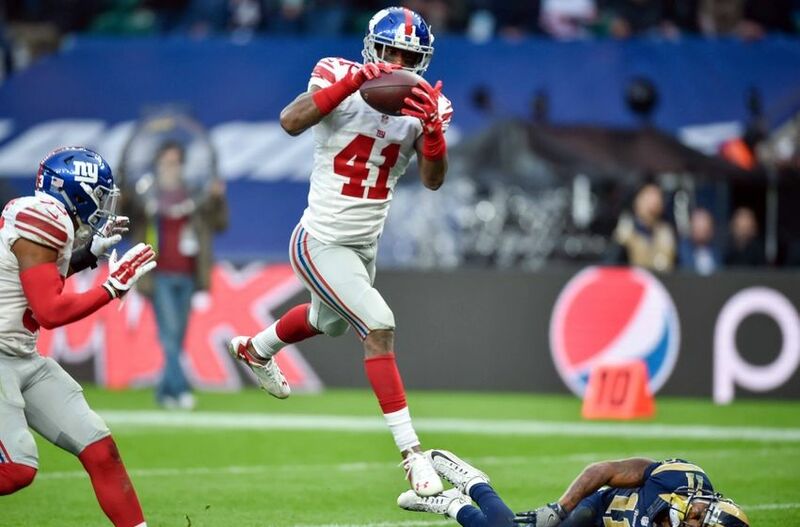 With Victor Cruz returning to the starting lineup and the impressive play of second round rookie draft pick Sterling Shepard, Harris saw much less of the field on offense for the Giants in 2016. Maybe that somehow affected his returns? Though his yards per kick return average was fifth best in the league, his punt returns were so bad, McAdoo sent Odell Beckham back to field. 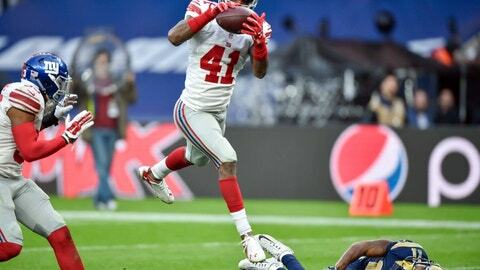 Beckham would’ve notched two or three returns for scores if it weren’t for penalties. On the positive side, Harris was instrumental in downing Brad Wing’s punts deep inside enemy territory. Is that worth $3.8 million? If the Giants release Harris after June 1, they’d absorb $800,000 in dead cap. Harris has the 10th highest hit to the Giants salary cap in 2017. No one on the Pro Football Focus list of 2016’s top graded kick returners earns anywhere close to Harris’ salary. Free agent signee Bobby Rainey earned significantly less and produced better averages returning kicks and punts. The hard truth is for the Giants to justify Harris’ salary, he’ll need to do way more—not just on special teams, but on offense. With Victor Cruz no longer in the mix, maybe he can. Is that a risk the Giants want to take? After playing the best season of his career, Casillas could be on the chopping block. Given his exceptional play in 2016, this would be one of the more surprising moves the Giants could make. It’s rare that a team would release a captain, but Casillas might have to be the sacrificial lamb. The 29-year-old undrafted free agent out of Wisconsin signed a three-year contract with the Giants worth $8 million before the 2015 season. His estimated cap hit in 2017 will be around $3.2 million. 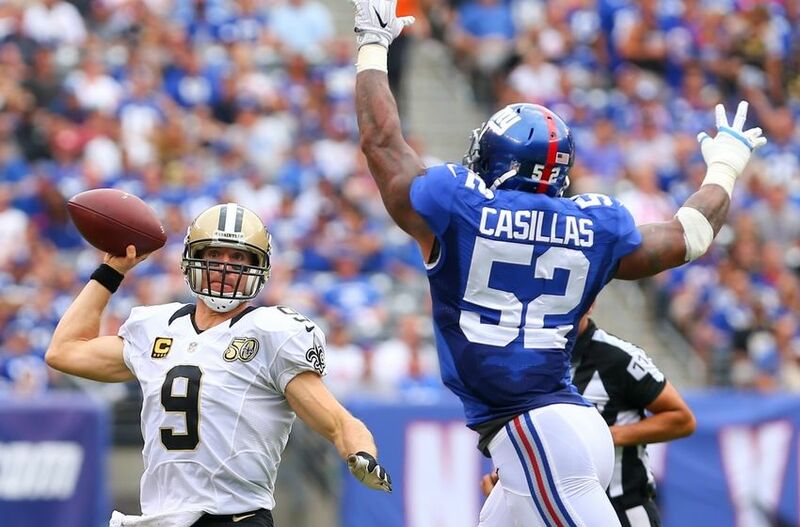 If the Giants were to cut Casillas, they’d take on a little more than $666,000 in dead cap. Of the 76 outside linebackers taking at least 50 percent of his unit’s snaps, Casillas ranked 48th in “True Value,” per Spotrac. Nigel Bradham, Shane Ray, Shaq Thompson, Melvin Ingram, and Chandler Jones made similar money to Casillas in 2016, but were all more valuable, according to Spotrac. Casillas is set to become an unrestricted free agent in 2018. With the selection of B.J. Goodson in the 2016 draft and another draft pick or two at lineback in the 2017 draft, do the Giants still need a one-dimensional (read: run-stop only) player like Casillas? Over the past two seasons, Casillas has started 22 of 31 games, tallying 121 solo tackles, 3.5 sacks, and snagging an interception to go with a forced fumble. According to Pro Football Reference, Jonathan’s approximate value of eight last season placed him in the top 200 players in the league. Casillas finished second on the team with 92 total tackles in 2016. Replacing (or upgrading from) Casillas might not be too difficult. The Giants should look into Melvin Ingram, Nick Perry, and Dont’a Hightower. As far as the 2017 draft goes, Big Blue could look into Wisconsin’s T.J. Watt or Alabama’s Ryan Anderson. The Giants thought they landed a future stud at outside linebacker in March 2015. That’s when they signed J.T. Thomas to a three-year deal potentially worth $10 million. Thomas would start 11 of 12 games played in his first season with the G-Men, finishing with 0.5 sacks and 43 combined tackles. In 2016, the Giants had high hopes Thomas would return to the form he had in his last season with the Jacksonville Jaguars in 2014. Instead, he was carted off the field with a torn ACL during the season opener against the Cowboys and placed on season-ending injured reserve. The fifth-year man out of West Virginia is due to make $4 million in 2017, which is the eighth largest hit to the Giants salary cap. If the Giants release him, they’ll take on $1 million in dead cap. Thomas is set to become an unrestricted free agent in 2018. How excited were Giants fans when the team signed Shane Vereen prior to the 2015 season? The former New England Patriots running back put on a show in the Super Bowl versus the Seattle Seahawks, racking up double-digit catches. Vereen’s first season with the Giants in 2015 was consistent with his previous two in New England. He eclipsed his season highs in catches and receiving yards, but Giants fans still felt like the Giants coaching staff hadn’t fully utilized Vereen to his utmost potential. He then got off to a hot start in 2016, but suffered the torn triceps in the game against Washington in Week 3. One had the sense McAdoo was just starting to tap into Vereen’s talents. The six-year veteran out of California averaged almost five yards per carry before the injury. Without Vereen, the offense struggled. Bobby Rainey replaced Vereen as the third-down back out of the backfield and Eli Manning threw to Rainey. But, the disparity between Rainey and Vereen was clear. The former second round pick in the 2011 draft is scheduled to receive a $500,000 roster bonus on March 13, so we could see a move before then. 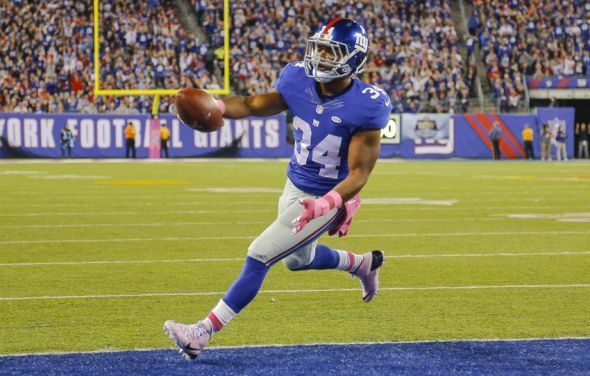 If the G-Men cut Vereen, the team will absorb nearly $1.2 million in dead cap. He has a cap hit of nearly $5 million, which would be the seventh highest on the roster. As mentioned when discussing Jennings’ release, the Giants could look to a free agent or take their pick from a “loaded class” in the draft.